The construction and quality has been revised over the almost ten years that I have been producing this knife. 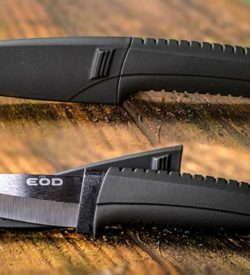 One handed opening, thumb stud on both sides of blade. Frame locking. 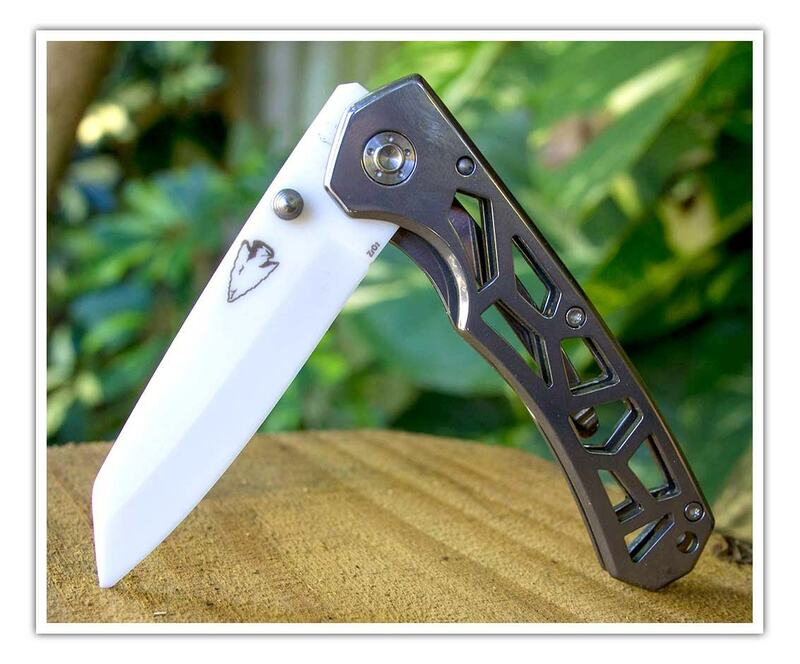 White ceramic blade in a stainless steel handle with cut outs to give a solid grip even with wet, cold or greasy hands. The blade tip has a semi-wharncliffe shape to prevent deep penetration while still giving a sharp end for delicate tasks. 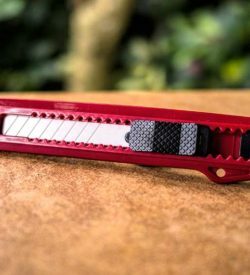 Blade length is just under 3” or 75mm and weight is 2.5 oz or 70 gms. 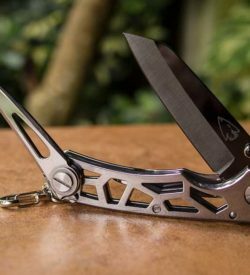 Pocket clip can be removed and overall thickness of knife with out the clip is 3/8” or 8.3mm.